Rats Can Carry Infectious Diseases of their Own, on Top of Being Flea-Carriers. Los Angeles County is being hard-bit by an outbreak of typhus, which is affecting the downtown district of Los Angeles inhabited by homeless people. The problem is due to filth accumulated on city streets from a variety of sources. 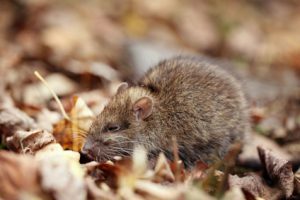 In an effort to strike a blow against more typhus outbreaks, the city plans to increase its street cleaning efforts to eliminate the filth that’s attracting rats, which infect people who are bitten by infected fleas that have fed on the rats. Typhus is often confused with typhoid due to the similarity in name, but they are two different diseases. Typhus is carried by outdoor critters and household pets who are hosting infected fleas. Typhoid is transmitted to humans through either contaminated water or food. The outbreak of typhus in the city has not only impacted the homeless population, it has also had an effect on business and working people. The signs of typhus include abdominal pain, muscle pain, rash, and high fever. It can be treated with antibiotics. If left untreated, it could lead to hospitalization. Several things you can do include keeping your pets treated for fleas and block openings into your home. Also have a NJ pest control company do an inspection. At Stern Environmental, our NJ pest control specialists have experience in handling flea infestations. To be flea-free, call our office and schedule an appointment.